What's with the louvered hood? Nice hats too. Is it me or are those louvers at a slight angle? Maybe an accessory or maybe just a '15 hood. Perhaps the original hood was damaged by folks sitting on it for photos. Louvered hood of a '15, a '14 windshield and bills ('12 or '15) on the front fenders with a 1913 touring car body. A little bit of everything on an almost new car. A "barn-find" thread on that "seemingly original" car today would have all in a tizzy. What else do others see? What is a tire corset ? Boot on the right front. 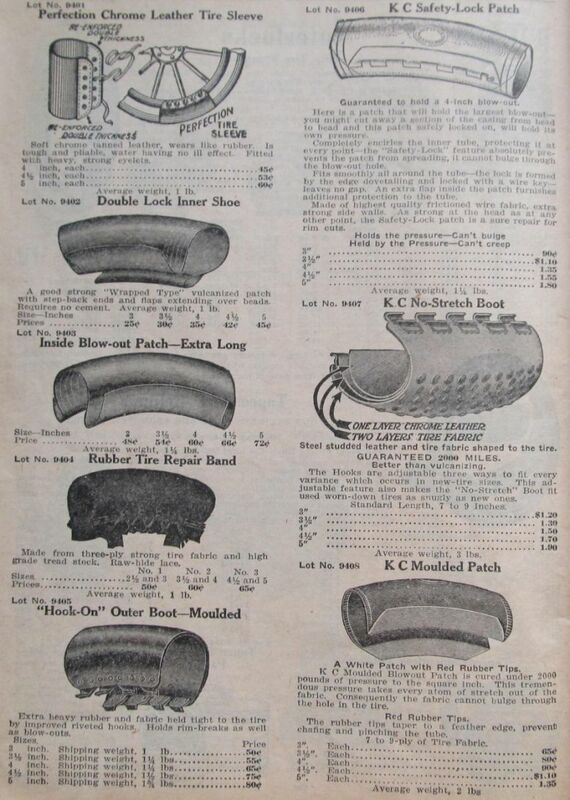 Here's a page from a 1915 auto parts catalog showing a bunch of different tire repair corsets used to extend the life of your torn up tire. I'd love to find a tire repair corset. I'm building a rust bucket truck (192? C cab). I think that a tire corset would send my design over the top. 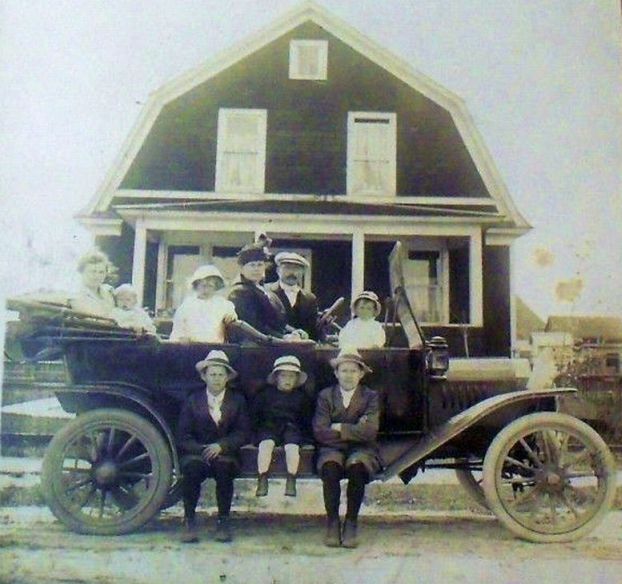 The louvers look too short to be a 1915-16 hood. I agree it's a '13 body with '14 windshield and late '14 front fenders. Possibly wrecked, and repaired with later parts?